Look Out! It’s The Avo Shark! Avocados are the coolest ingredient in the kitchen at the moment, and apparently we aren’t the only ones who think so. 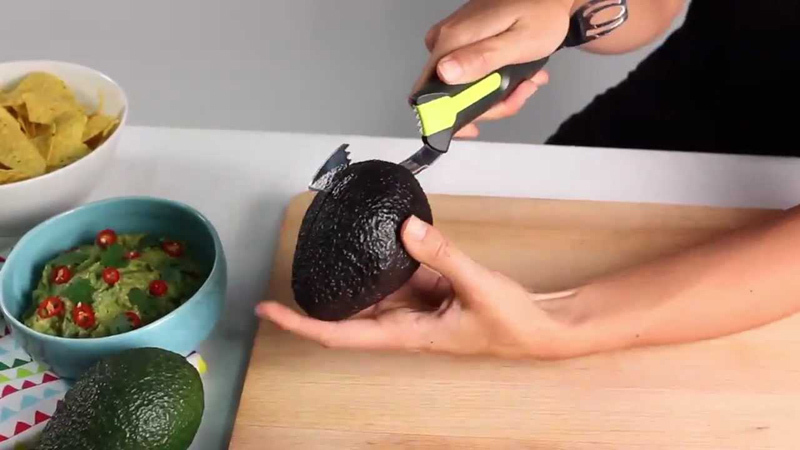 The Savannah Avo Shark is an innovative and unique tool, specifically designed for the easy and efficient preparation of avocados. The Savannah Avo Shark was a awarded a Red Dot Design Award in February 2014. The Red Dot Award is probably the most prestigious design award in the world, with more than 61 participating countries. So that means it’s not just good, it’s great! This one tool does it all, from the first cut to the final mash. The handy pip remover makes fighting with slippery, messy pips a thing of the past, and the masher and blade are elevated to prevent mess on your counter. High quality stainless steel blade and ABS plastic. Get one now for smashed avo on toast, avocado salad or whatever recipe you can dream up. This amazing tool does it all!